Attention hunters! If you are looking for a perfect place to enjoy spring snow goose hunting with liberal bag limits and endless opportunities to bag many birds, then Missouri is the place for you. Over the years Missouri's snow goose hunts have gained massive popularity making it a hot spot and a favorite for this activity. 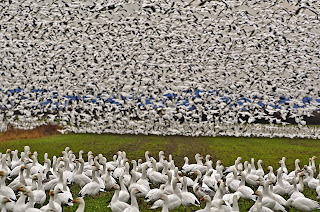 Since the mid-1970s the, population of snow geese has increased significantly due to excessive breeding of these birds. 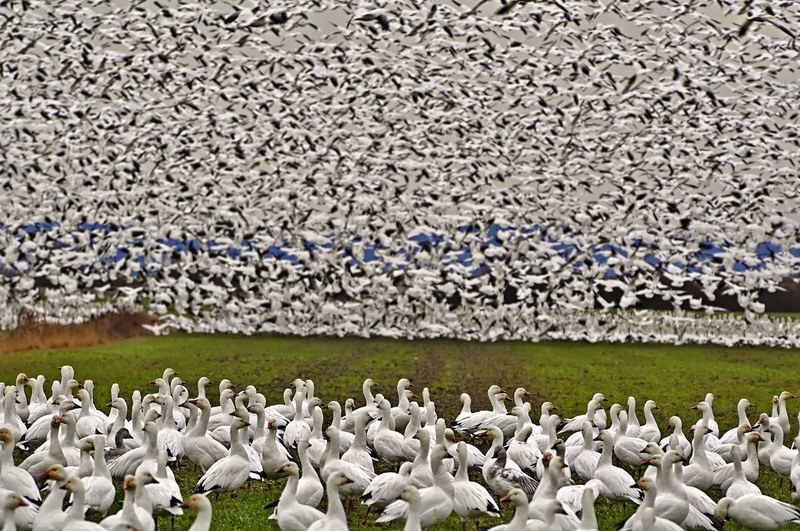 The population of snow geese has reached historic levels in the Arctic and Sub-Arctic habitats. And as these birds are outgrowing their current breeding grounds, they are now expanding into new habitats which wildlife managers never envisioned they could use such as forested areas. According to the biologist, the population of the snow geese needs to be reduced by 50%. Therefore, wildlife services are encouraging hunters to participate in Missouri goose hunting to help control the population of these birds. From a hunter’s perspective, this presents outstanding hunting opportunities to shoot more geese as you can find abundant snow geese wintering in Missouri. The abundant snow geese population is posing a great threat of ecological damage as they turn the nesting areas into wastelands by foraging for roots and tubers aggressively and over grazing making vegetation scarce. If this continues this will not only have a negative effect on the geese themselves but will badly affect the wildlife communities that share that habitat with them. Therefore, to minimize habitat and ecological damage, Missouri's spring snow goose hunting is being promoted. Due to the massive agricultural productivity in North America, including large-scale rice farming in south east Missouri, the migratory birds seek refuge in the fields; the waste grain, weed seeds, invertebrates and insects are a great source of proteins for these birds much to the woe of farmers. All of these factors have contributed to the popularity of Missouri snow goose hunting. However, to enjoy snow goose hunting to the maximum, it is advisable to register with a professional snow goose hunting guide.